I found this review of my book to be fair. William and I have communicated after I read his review and he was fine with me sharing this on my post. I believe William’s biggest disagreement stems from the timing of the Rapture and an interpretation in Daniel 9:24-27, which challenges the traditional view of ‘who the covenant is with’ and the nature of its being broken. Nevertheless, William is a strong believer and does a very nice job on his reviews. If you have read BLOOD MOON, please do provide a review (good, bad, or neutral) on Amazon. Reviews are very helpful to those authors, like myself, that are independent and do not have marketing budgets. If you enjoy my books, I need your support by taking a few minutes and reviewing them after you’ve read them. It is a helpful ‘thank you’ for authors like myself. If you have not read the book please purchase it and read it. Even my 95 year old father read it cover to cover and said it was the best read of all my books. Lots of inspiration here. As I have said on a few interviews, I am not going for WOW! but for AWE! We serve a great God and we need to focus on Him more than Nephilim, flying saucers, and the paranormal. If you agree, please read the book. You will not be disappointed. The book is on sale this week for $11.95. Purchasing two to six products from the S DOUGLAS WOODWARD STORE will be updated to Priority Shipping without additional charge. It is also available for sale on Kindle this week only for $7.95. Blessings to all my followers! I admit, I expected another book rehashing the blood moons phenomena but found instead one of most thoughtful books on the importance of our “blessed hope” that I’ve had the privilege to read. Expecting a narrow a slice of Bible prophecy, instead I found reasonable arguments for an “apocalyptic” world view. Written in a fluid and understandable style I was able to follow the author’s line of reasoning with little trouble. Douglas Woodward has a great way with words and vision for the subject which he aptly conveys to the reader. 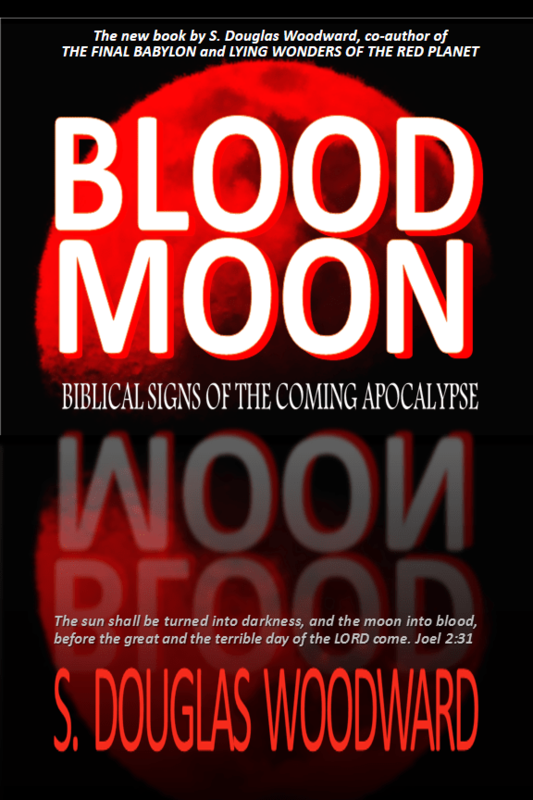 For those who might be wondering, yes the author talked about the blood moons and their importance to Bible prophecy but it was done so within a much larger context which offered a unique perspective you won’t find in other books on the subject. *Mr. Woodward’s discussion of occupying until Jesus comes juxtaposed with the expectancy of his soon return. *Mr. Woodward’s thoughts on the anti-Christ. *I especially appreciated his thoughts on why Doom and Gloom may be a reality but should not be the focus of our lives. I totally agree with the Mr. Woodward’s belief that our focus should be on the 2nd coming of Jesus. What I find incongruent is that Mr. Woodward’s future eschatological timeline depends on an interpretation of the prophecy of Daniel 9 which shifts the focus away from Jesus the Messiah and onto the anti-Christ. What I find most disconcerting is that by shifting the focus of Daniel 9 from Jesus to the anti-Christ we rob the prophecy of Calvary and leave those poor souls “left behind” no basis upon which to show Jesus’ work at Calvary was part of his Messianic purpose. How can this be? In summary, though I have several disagreements with Mr. Woodward I enjoyed this Blood Moon: Biblical Signs of the Coming Apocalypse. Yes, I disagree on several substantive issues but I still found a wealth of wisdom and discernment which I greatly appreciated. Do yourself a favor and pick up a copy of this book and then open your Bible and “see if these things be so”.